« A visit to a beautiful garden…. Among the many dishes there was one bowl that contained something dark and seemed like a meat. I wanted to taste it because it had a fruity aroma wafting around it which heightened my curiosity of how this “meat” was cooked. My first bite was a surprise which was followed by sheer delight…it was sweet and tasted fresh and extraordinarily delicious. 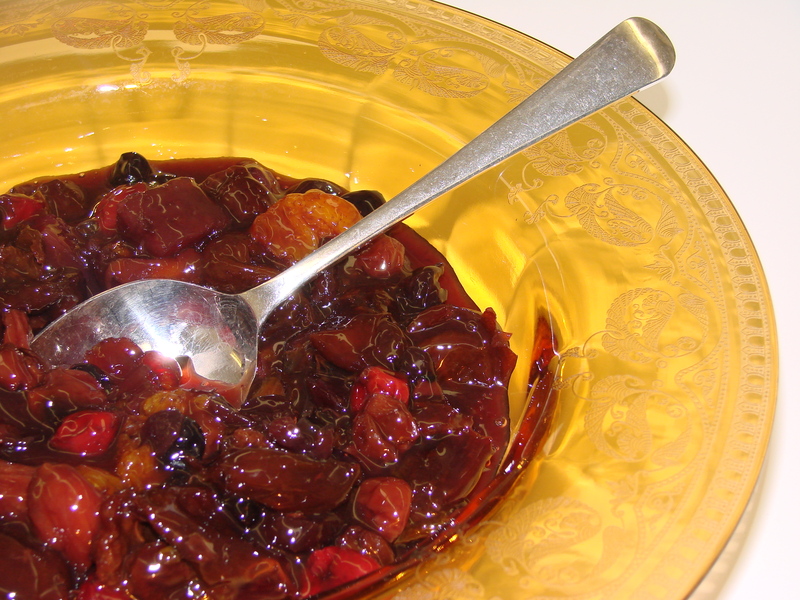 It was fruit, all kinds of dried fruit that was cooked in a sauce….the sauce was the special delight and I could not decide what it reminded me of. 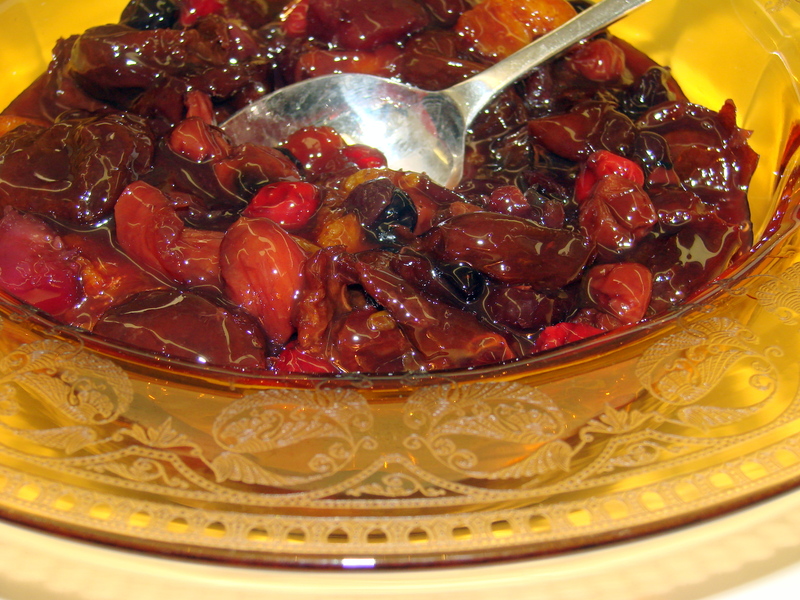 I quickly caught my friend’s, the hostess’, attention and asked her about this special dish, when she told me it was…..Stewed Fruit! “Stewed in what?, I asked…when with a twinkle in her eyes she said: “In wine’ of course!” Aha…this was the delightful little ingredient that made all the difference. And so it is here that I want you to have this recipe of this delightful dish, and I know you will be making it often…because you can eat it with a sandwich to a beef roast, with yogurt, with ice cream, as a salad, and at breakfast, as a dessert when served with whipped cream or pudding and I could go on and on….. I changed the recipe in some places, and you will find the changes in red letters. 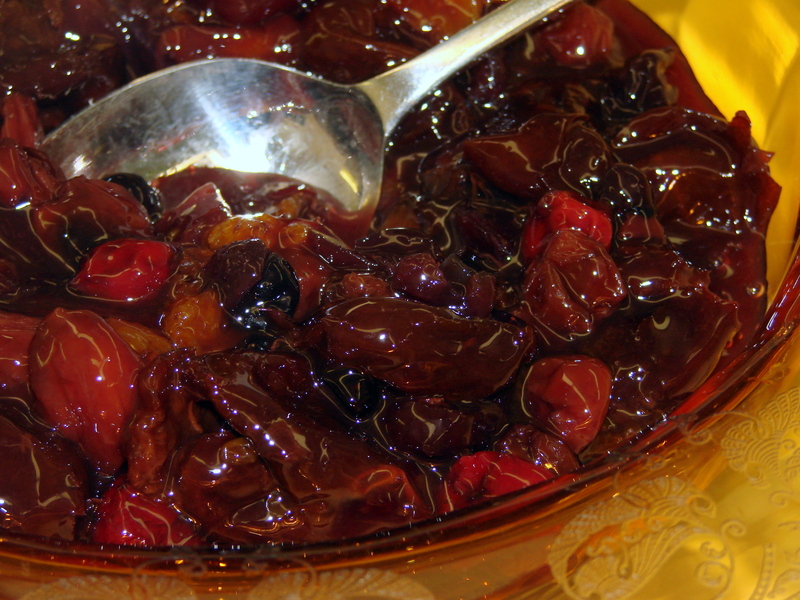 Manishavitz Cherry wine…..I use a bottle of Port or a Medium Sherry. I also often substitute or add to the ingredients above, fresh apples cut into chunks, fresh plums, cut into chunks, or fresh Raspberries and/or Blueberries. 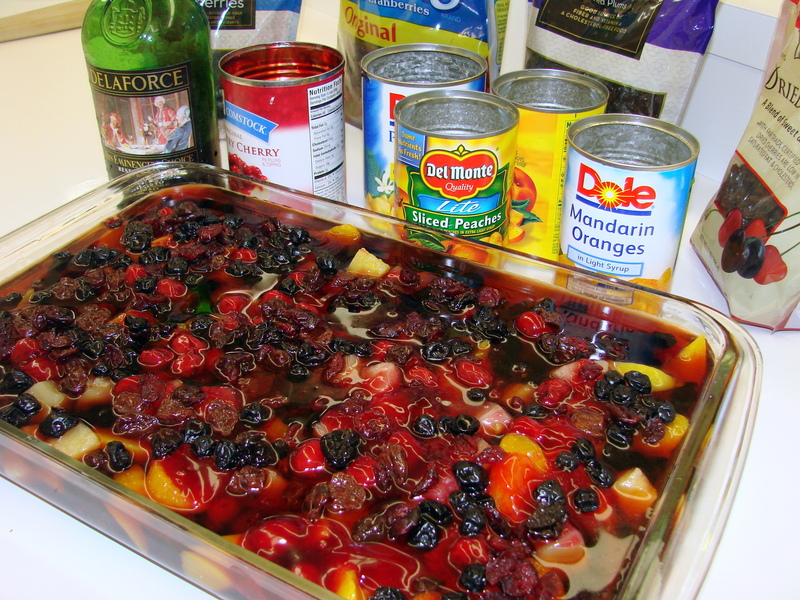 Layer all ingredients in large 3 quart Pyrex baking dish then pour the Port over the fruit and bake it at 350 F uncovered for 1 hour. 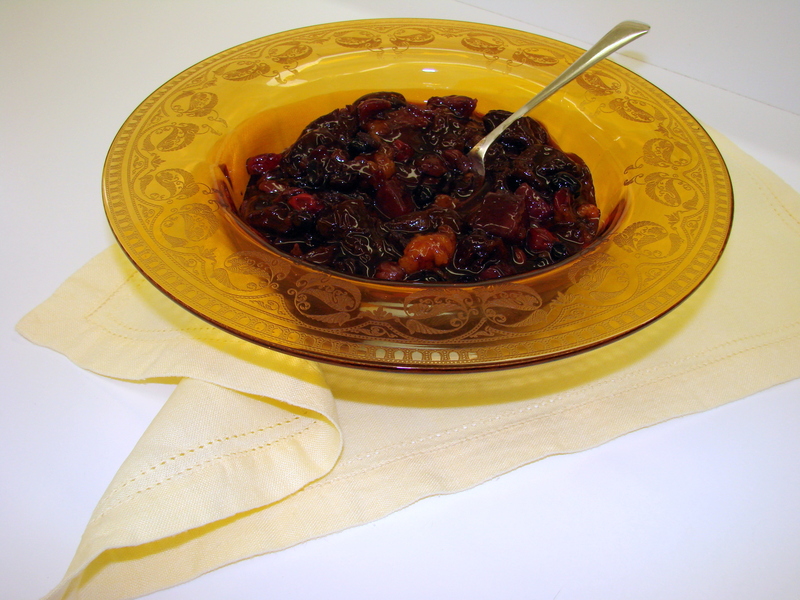 Serve this Stewed Fruit warm or at room temperature! It will be one of the most enjoyed dishes on your buffet table…. Hört sich gut an, und mal was anderes als Rumtopf oder Rote Grütze.